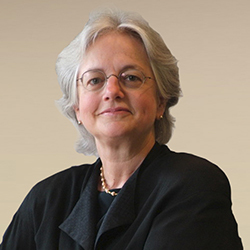 Susan Berresford served as the President and CEO of the Ford Foundation from 1996 to 2008. She currently works at the New York Community Trust, consulting on philanthropy and leading several projects for the Ford Foundation. During her tenure as President, she helped guide the Ford Foundation’s efforts to end discrimination, increase minority voter registration, and build a civil rights network in the U.S.; oversaw the creation of a national loan program that has helped tens of thousands of minority and low-income Americans; and was a key voice in the fight against gender bias. Under her leadership, the Ford Foundation also expanded its activities around the globe, opening an office in Moscow; taking the lead role in the creation of TrustAfrica, an independent foundation working to promote peace, economic prosperity, and social justice on the continent; and committing $280 million — the largest grant in the foundation’s history — to create the Ford Foundation International Fellowships Program. Ms. Berresford serves on the Boards of the U.S. Fund for UNICEF, United States Artists, the Trinidad Trust Fund (California), the California Endowment, and the Henry J. Kaiser Family Foundation. She is a member of the Council on Foundations, the Trilateral Commission, the American Academy of Arts and Sciences, and the European Foundation Center’s Governing Council. Ms. Berresford is also the convener of the U.S.-Vietnam Dialogue Group on Agent Orange/Dioxin. Her fund at the New York Community Trust was established in honor of her father. It has supported organizations such as the Metropolitan Opera, the Brooklyn Academy of Music, and the Lincoln Center Theater, as well as individual American artists. Ms. Berresford studied American history at Vassar College and Radcliffe College.